 How to spot fake Converse All Star shoes and recognize genuine Converse All Star | iSpotFake. Do you? 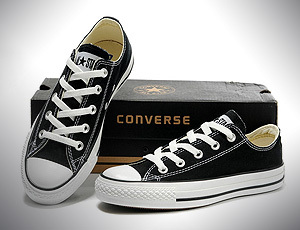 Since the early 1900s, Converse has been producing rubber-soled shoes, which have been worn by basketball celebrities to British punk rockers to schoolgirls attending class. The shoes are still a popular choice today and are sold at many retailers around the world. However, if you find a good price on a pair of "Chucks" that seems too good to be true, use a keen eye to check various aspects of the shoe. By following a few steps, you should be able to see if the Converse All-Stars are authentic or fake. Examine the shoe's tags. Start with the "All-Star" tag, which should be found across the heal and/or tongue of the shoe. Also, inspect the circular Converse logo found on the All-Star high-tops, as well as the "Converse" letters printed on the inside of the shoe. On all labels, ensure the stitching or ink is clear, crisp and clean, rather than dull, faded or smudged. Also, while it may seem obvious, ensure the words are spelled correctly and that tags have the appropriate designs. For example, the high-top classic Converse will come with a circular screen print logo that includes the words "Converse All Star," a solid star and Chuck Taylor's signature. If any of these are missing from the image, the shoes are fake. Make sure the Converse All-Stars come with all the appropriate packaging. This should include an official Converse shoe box, with the pair wrapped in tissue paper the company logo and stars on it. Find the official removable Converse tag, too, which will typically display the Converse logo with a history and description of the company. If the shoes don't come with this tag or packaging, they might be fake. Check the price of the Converse. If your shoes are being sold for much less than usually, it should raise some red flags about their authenticity. Get a feel for the sales associate and the store you're buying the shoes from. If the purchase is made at a reputable store, the shoes will most likely be authentic. However, if you're buying Converse from a pushy person selling shoes from the trunk of a car, there's a good chance the shoes are fake.